I began my apprenticeship in 2015. 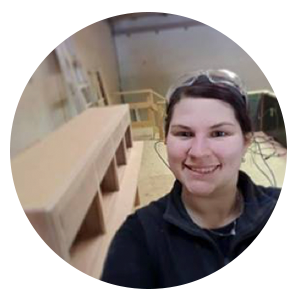 In 2014 I graduated from the University of Tasmania with an Associate Degree in Furniture Design. I decided to do the degree on a gut feeling. I knew instantly that it was what I was going to do. I was going to learn to make furniture. Moving to Tasmania alone was a big leap. I knew about 18mths into my 2.5 years at uni that I needed an apprenticeship. It was not encouraged as I would be 'Sanding and sweeping for the first year" my response was always "Atleast I'll know how to do it properly for the rest of my life!" 62 job applications later and number 58 pulled through. It took 6 months and moving to Sydney to find a job in Wagga Wagga (5hrs west of Sydney) but I got a 2 week trial... I threw my back out in the second week. They must have seen something in me as they kept me on. It was quite rocky for the first month and I had to join a gym as a commitment to them that I was going to improve my strength. I got along well with the owners and some of the guys but I never quite clicked so I ended up transferring my apprenticeship to a new employer in Western Sydney where I now live closer to my sister. In both cases my RTO would not do RPL even though I had a university equivalent for most of my units. Oh and I broke my finger 3 months after starting at my new employer. The image in my head. Me, old, in a apron teaching people how to make furniture. So I have to learn everything first so I can show others! SALT has been a very important part in supporting me and I'm so glad I found them at the start of my journey. Plus I get to practice by teaching at the workshops. Every time I finish a piece of furniture. Whether I've already made the item before or not. I am filled with an immense amount of pride in my work and myself. Also at the end of a SALT workshop when I get to see all the excited people showing pride in their work. I will know these skills for life. I can do it anywhere. I can adapt it to my lifestyle. The amount I am learning and that despite the physical toll, I make some damn nice furniture. 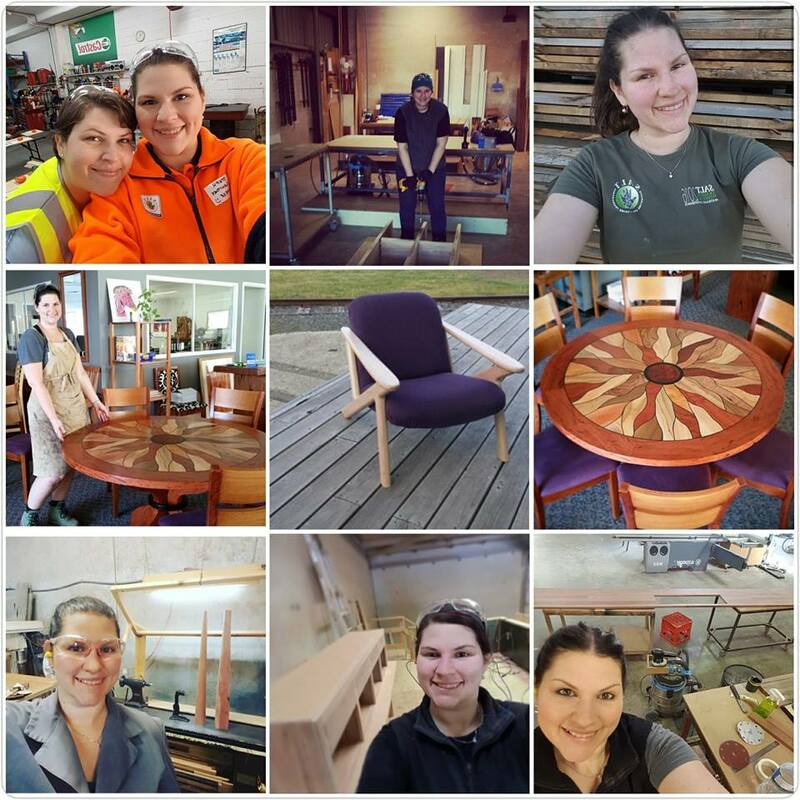 I graduated from Uni, made a purple armchair for myself which I use every day and in my first year I made the top of a $15k dining table. I use social media... I am the SALT social media manager, I run my own instagram account and am about to rebrand. I have established a great social circle in Sydney. I enjoy being a home body and going to the movies. But my favourite new thing to do in my spare time is to do SALT Workshops!